Extensive community outreach efforts that engaged more than 200 youth and parents, with a focus on reaching low-income and Latino members of the community, were undertaken in 2016. Community input led to the development of eighty-two programs and six capital construction projects that will help to increase Lafayette’s youth and their families to nature and the outdoors. 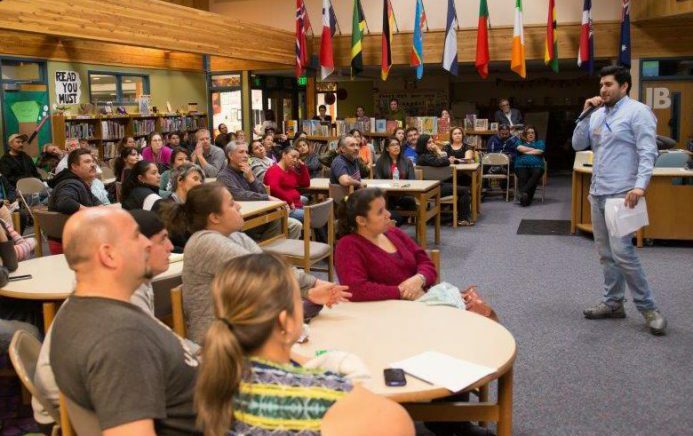 NKJN will benefit youth and families in Lafayette with a focus on reaching youth who attend five Boulder Valley School District schools: Sanchez, Pioneer, and Ryan Elementary Schools; Angevine Middle School; and Centaurus High School. There are 39 collaborating and supporting organizations that have signed on to help deliver a scaffolded approach to pre-K to high school, backyard to backcountry, and family-integrated nature and outdoor recreation programing. Programming will include classroom, afterschool, and field trip opportunities as well as summer opportunities that range from family programming to summer camps and employment opportunities. In total, NKJN will deliver more than 46,000 nature experiences totaling in excess of 570,000 participant program hours from the summer of 2017 through the end of the 2022 school year, and hopefully beyond. The total value of this programming will exceed $5 million. 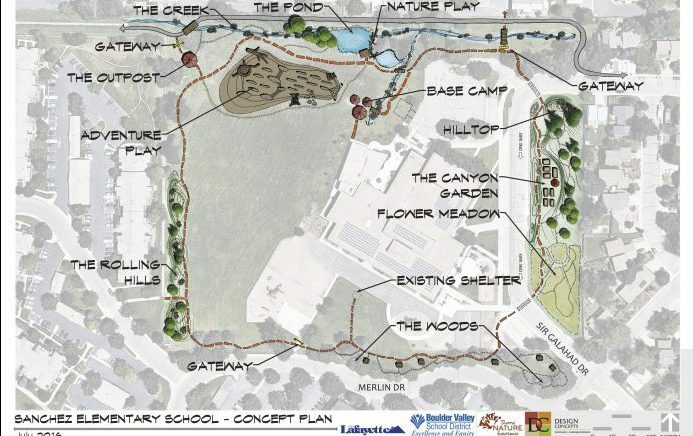 In addition to programming, NKJN will invest millions of dollars in multiple capital construction projects on City of Lafayette Open Space and at Pioneer and Sanchez Elementary Schools that are designed to ensure all Lafayette youth live within a safe, 10-minute walk to a nature play space. 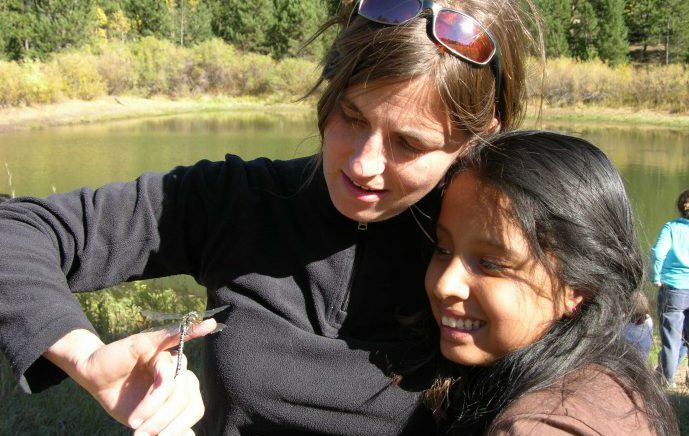 Program referrals to specifically build upon the enthusiasm generated by each programming component and ensure that participants know what the next step is for them to continue building their connection to nature and the outdoors. NKJN programs, in addition to meeting community identified needs and desires, were designed to correlate with the new Boulder County Environmental Education Guidelines. The guidelines are the first set of guidelines in the nation to promote a whole-child approach to environmental education (EE) and suggest a scaffolded set of activities and learning concepts for students starting with pre-K through high school. The whole-child approach involves engaging kids’ hands (service), heart (social emotional awareness), head (knowledge/academics), and feet (place-based learning), each of which is critical to building nature connection, earth stewardship, and environmental literacy. Beginning in 2017, the five schools participating in the NKJN program will be the first five to pilot a full-scale implementation of the guidelines. Already, the guidelines are being heralded by some leading environmental education experts as the most progressive and complete set of EE guidelines ever drafted. Other Projects (Access) – a $1,097,570 project to build trails, expand sidewalks, add bike lanes, and construct pedestrian crossings to ensure that nature is safely accessible by youth and families living in Lafayette’s low-income neighborhoods. A key component of the NKJN program is the linkage between the planned nature and outdoor recreation programming, and the proposed capital construction projects. Youth and their families will need safe access to nature and nearby places for outdoor recreation in order to expand upon their newfound enthusiasm for nature and the outdoors, developed through NKJN programming. Further, the newly constructed parks and trails will require that youth and families living nearby have an enthusiasm for nature and the outdoors and an environmental ethic in order to ensure these places are well-loved, but not too well-loved.